Aston Martin’s new attempt at winning overall at Le Mans has been in the plans and rumored for quite some time of an impending release. 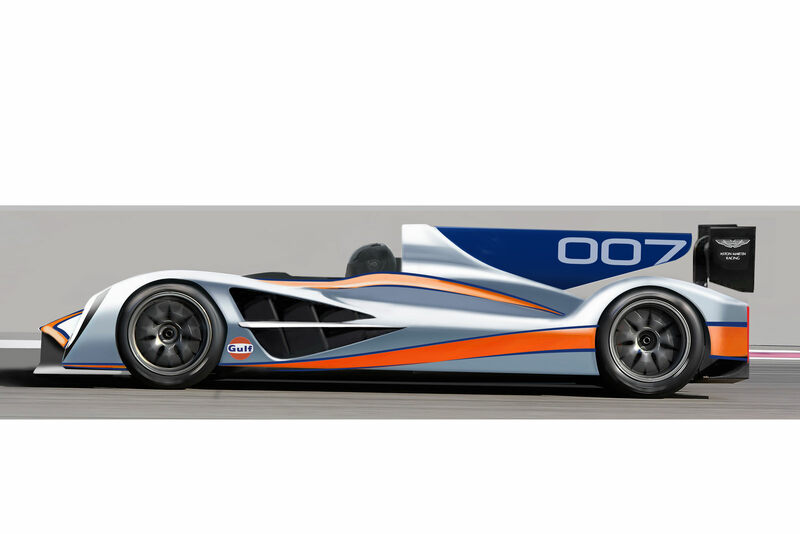 Well, it’s finally here, sort of, as the British company have released a sketch of the car coated in the Gulf Oil paint scheme. The first batch of six cars is scheduled to hit the tracks early 2011 and the company have stated that their Banbury racing headquarters has been throbbing over the past months as the people there toiled over the open cockpit monocoque chassis and a new purpose-built race gasoline engine. The first and only time Aston Martin won the Le Mans was in 1959 with the DBR1 of Roy Salvadori and Carroll Shelby. However, the British firm has had two GT1 class victories at Le Mans in 2007 and 2008, and an overall Le Mans series win in 2009. In recent years the company has been struggling, as pretty much every team running a petrol powered car has with the diesels being considerably ahead due to immense fuel economy differences, however, along with this release, David Richards, chairman at Aston Martin made a statement according to which for the 2011 regulations the ACO (Automobile Club De L’Oues) have assured everybody that they will properly balance the performance of these new cars. With that said, it is also notable that this is Aston Martin’s first purpose-built racing chassis and engine for more than 50 years.